Buyer's Dilemma: BMW 6 Series Gran Coupe or 740i short wheelbase? Buyer’s Dilemma: BMW 6 Series Gran Coupe or 740i short wheelbase? Earlier this month BMW unveiled their first four-door coupe: the 6 Series Gran Coupe. 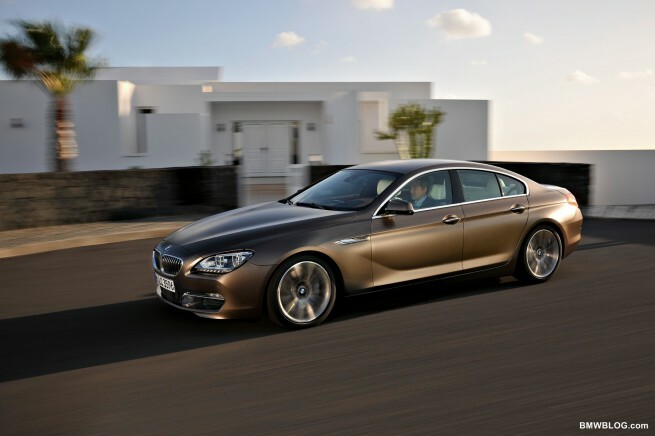 The 6 Series Gran Coupe goes on sale in the U.S. in June 2012 and will be offered as three distinct models: BMW 640i, 650i and 650i xDrive (the latter two launching in late summer 2012). With a pricing point and dimensions similar to the entry-level 7 Series short wheelbase, the choices for buyers are becoming more interesting. In our opinion, the two vehicles cater to different demographics, but nonetheless, an overlap will occur at some point. Both vehicles are optioned and limited the same way, and the base price will be in the same ballpark. But let’s have a closer look. The 4+1 seat addition to the 6 Series line combines stunning proportions, design and driving dynamics of the 6 Series Coupe with interior room and amenities for up to five passengers. The 6 Series Gran Coupe will cater to buyers looking for a sporty and sleek-looking BMW without sacrificing interior space and storage; think along the line of hipsters with bespoked tailor suits and with a sense of appreciation for luxury and design. We believe the 6 Series Gran Coupe will become a usual presence at valet parking in cities like New York, Los Angeles or Miami. The longer, but sleeker and muscular new 7 Series came to market in 2009 to correct some of the shortcoming of the previous generation 7 Series. As our own Hugo Becker points out, the 7 Series is a mature sedan and a car for rear passengers. The buyers’ demographic for the 7 Series is also quite different from the 6 Series Coupe and now the new 6 Series Gran Coupe, with your usual driver identified among corporate executives, political dignitaries, A list celebrities, or anyone with money that enjoys the ultimate luxury and sportiness in a BMW. Now let’s have a look at the dimensions of the two models. With a length of 197 inches (5,007 mm) and wheelbase of 116.8 inches (2,968 mm), the 6 Series Gran Coupe is 4.4 inches (111 mm) longer than 6 Series Coupe model. The BMW 6 Series Gran Coupe is also 74.6 inches (1,894 mm) wide and stands 54.8 inches (1,392 mm) in height. On the other hand, the BMW 7 Series short wheelbase measures 199.7 in (5,072 mm) in length, 74.9 in (1,902 mm) width and has a height of 58.2 in (1,479 mm). The 7 Series SWB has a wheelbase of 120.9 inches. Both models are nearly identical in width and separated by 2 inches in length, with the dimensions advantage clearly going to the 7 Series. The longer wheelbase gives the 7 Series more rear room for passengers, as well as a bigger trunk space. The entry-level 740i model starts in the U.S. at $71,000. The 640i Coupe went on sale this Fall with an MSRP of $73,600. BMW has yet to reveal the pricing for the 6 Series Gran Coupe, but we anticipate the base price for the 640i GC to fall between $75,000 and $79,000. With all these facts in front of you, which one would you buy: BMW 640i Gran Coupe or the 74oi SWB?